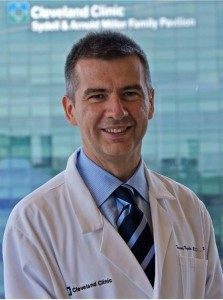 Tomasz Rogula, MD, PhD, was a Staff Surgeon and Assistant Professor of Surgery at World-renowned Cleveland Clinic – Bariatric Metabolic Institute and the Department of Surgery. He was born in Poland and is currently a permanent resident. He graduated from the Jagiellonian University School of Medicine in Krakow, Poland and was trained in weight loss and general surgery in the United States (Mount Sinai School of Medicine – New York, University of Pittsburgh, PA), Italy, France,Germany, Spain, Canada, United Kingdom and Japan. In addition to bariatric surgery, his specialty interests include advanced laparoscopic and robotic surgery, gastrointestinal surgery and hernia repair. He performed the first robotic assisted gastric bypass for obesity and initiated single incision laparoscopic cholecystectomy and hernia repair at the Cleveland Clinic. Dr. Rogula has done pioneering research on novel weight-loss surgery procedures. He published articles and book chapters on topics of bariatric and laparoscopic surgery and is a peer reviewer for the journal of Surgery for Obesity and Related Diseases and Guest Editor for Journal of Obesityand Annals of Surgical Innovation and Research. Dr Rogula initiated and diractorates pioneering Bariatric Medicine Clinical Rotation Program for Medical Students at the Western Reserve University and Cleveland Clinic Lerner College of Medicine. He was an invited speaker for numerous national and international surgical meetings and workshops. He is a member of the American Medical Association, Society of American Gastrointestinal Endoscopic Surgeons, American Society of Metabolic and Bariatric Surgery, International Federation for the Surgery of Obesity and European Association for Endocopic Surgery. He is a co-founder of the International Club of Young Laparoscopic Surgeons and a founder and President of the International Bariatric Club – a global bariatric network organization. He was awarded for his medical innovations and holds pending patents for new surgical devices. He initiated an Internet Video Support system for patients and bariatric social media.